Tensions between France and England ignited in 1754 when an expedition led by a young George Washington attacked and killed a French diplomat near Fort Duquesne (Pittsburgh). Retreating to a nearby meadow, Washington built a palisade fort, Fort Necessity, and awaited the retaliatory force composed of the French and their Indian allies. Ignoring the advice of his Indian ally to ambush them while they were approaching, Washington instead chose to fight in the open and anticipated the French would do the same. Instead the French and Indians remained in the woods and picked off Washington’s Virginians. They fought back the best they could but when ammunition ran low and casualties mounted, Washington had to surrender. Washington unwittingly signed surrender terms that admitted that he had assassinated the French diplomat. In the wake of these incidents, a world war erupted that was fought not only in North America but also in the Caribbean, Europe, and India. To recapture Fort Duquesne, Britain dispatched General Edward Braddock along with two regiments: the 44th East Essex and 48th Northamptonshire. Totaling 1,440 officers and men, they were supported by Washington’s 450 colonials. Within a short march of Fort Duquesne, Braddock’s column collided with a force half their size composed of French marines, Canadians, and their Indian allies on the Monongahela River. Standing exposed in their linear formations, the British fired off volleys as the Canadians and Indians melted into the woods. Indian fighting tactics were adapted from communal hunts and this enabled them to coordinate their attacks even when multi-tribal groups fought alongside one another. Blame can neither be placed totally on the soldiers nor Braddock since no formal training of the period could prepare them for forest warfare. The lessons were not lost and the British army began adapting itself by raising light infantry and, from among the colonists, rangers who would scout and screen the army better. Men were taught to seek cover (“Tree all”) and to aim at marks. Before the war, linear formations ensured an officer of his command and control over his men and they were loath to depart from the practice. Adopting open formations was quite a novel concept. Finally a limited number of rifles were distributed. During the landing at Louisberg there was a rascal of a savage on top of a high rock that kept firing at the Boats as they came within his reach, and he kill’d volunteer Fraser of our Regiment who, in order to get his shilling instead of six pence a day, was acting, like myself as a sergeant, he was a very genteel young man and was to have commison’d the first vacancy. There sat next to Fraser in the boat, a silly fellow of a Highlander, but who was a good marksman for all that, and not withstanding that there was a positive order not to fire a shot during the landing, he couldn’t resist this temptation of having a slap at the Savage. So the silly fellow levels his fuzee at him and in spite of the unsteadiness of the boat, for it was blowing hard at the time, ’afaith he brought him tumbling down like a sack into the water as the matter so turned out, there was not a word said about it, but had it been otherwise he would have had his back scratch’d if not something worse. After landing, 550 of the best marksmen were drawn from the available units and organized into a provisional light infantry battalion. As sharpshooters, they suppressed the defenders during the construction of the siege works. After the siege guns were mounted in the third parallel, Louisbourg surrendered. Captain Hazen survived and rose to brigadier general in the Continental Army during the Revolution. The French were obligated to form one regiment, in their line, directly facing this wood, where the jägers were stationed. 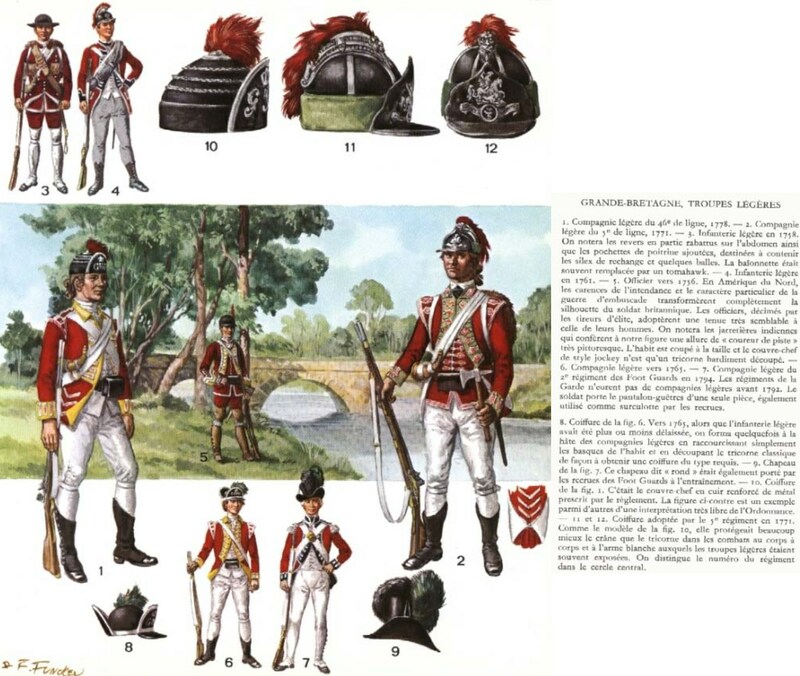 The jägers made such havoc amongst this French regiment, that the colours were at last forced to be held by serjeants, and even corporals. There were but very few of their officers who were not killed or wounded. The jägers were not above two hundred yards from them, and were flanked, both on their right and left, by strong battalions of the line. The French were at last compelled to bring up six pieces of cannon, loaded with grape, to clear the woods of jägers. I had a man in my company, in the Hessian jägers, in America, who was the son of a jäger, supposed to be one of the very best shots among those engaged at Minden. His comrades had such an opinion of his shooting, that six or seven men handed their rifles to him, as he stood behind a large tree, continually keeping them loaded for him to fire, so that he could fire several shots in one minute. When the cannon were brought up, his comrades desired him to come away; but he said he would stay, and have one shot more; a grape-shot struck him, and killed him. The French were so incensed that day against the jägers, that a few of them which they took, wounded, in the retreat, for the German forces were beaten, they buried up to their chins in the ground, and left them to die. While the rifle was slowly gaining acceptance as a specialized weapon to be used by light troops, the war’s conclusion did not see its universal adoption. The British Army returned its rifles to storage at the war’s conclusion and for the most part, forgot the lessons learned.